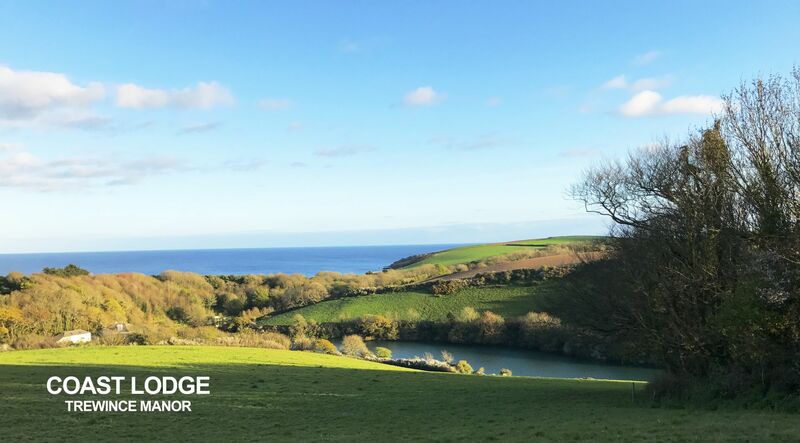 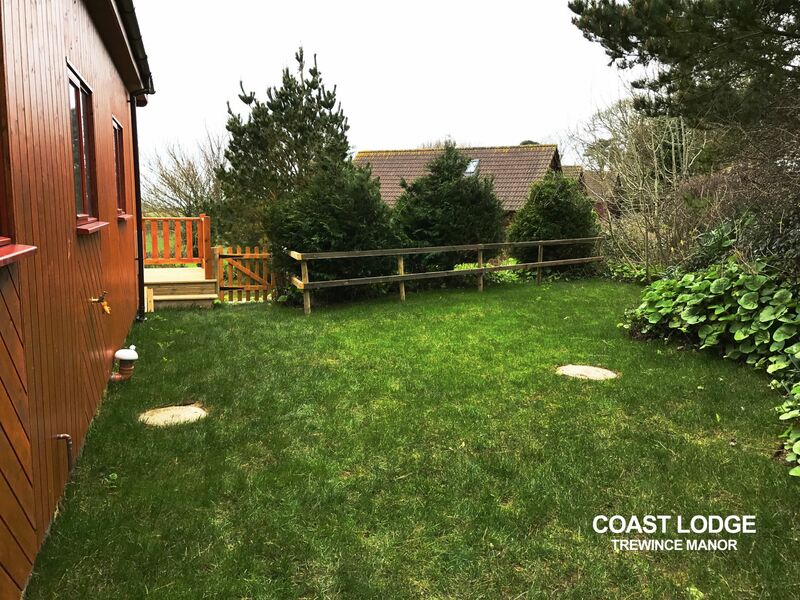 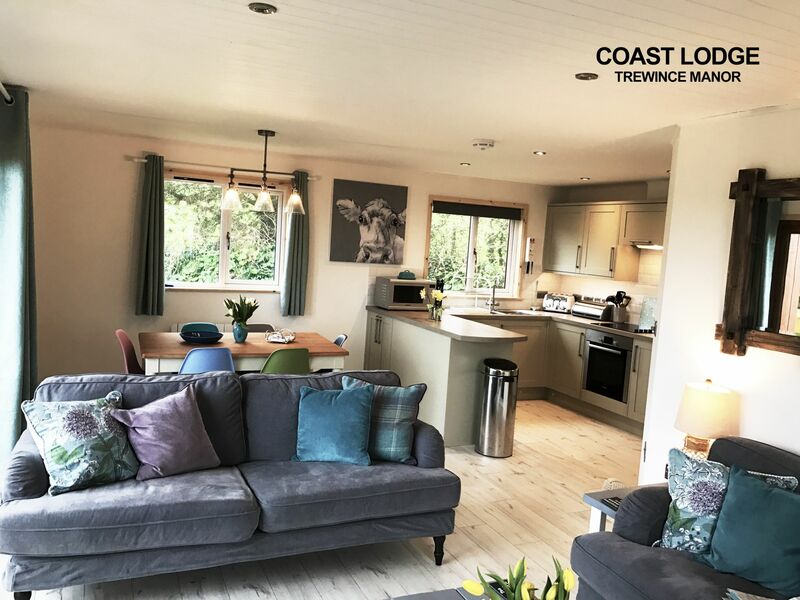 Completed in 2017, this luxury lodge commands a prominent position within the 26 acre grounds of Trewince Manor, an idyllic setting on the Roseland Peninsula. 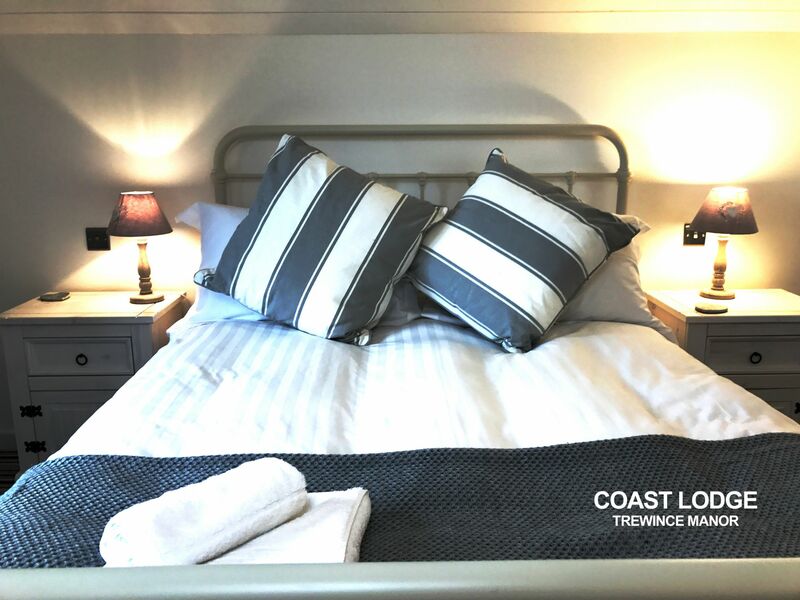 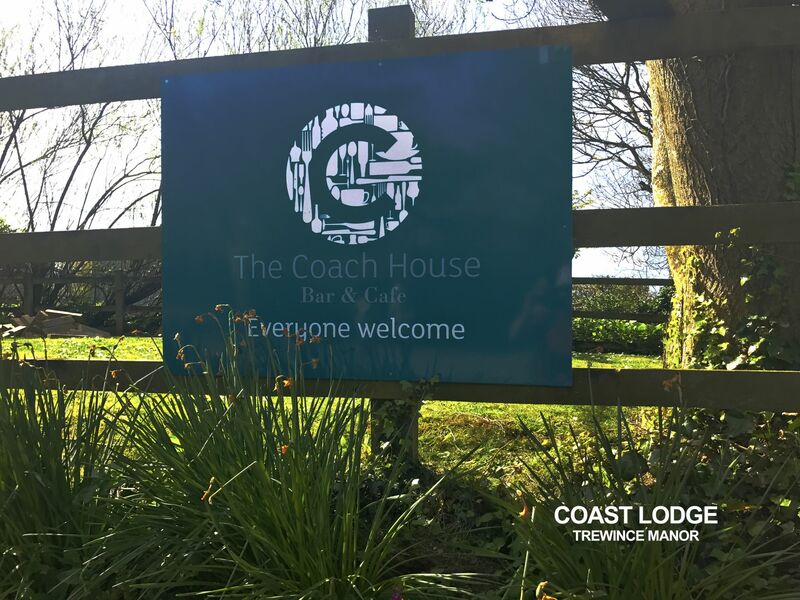 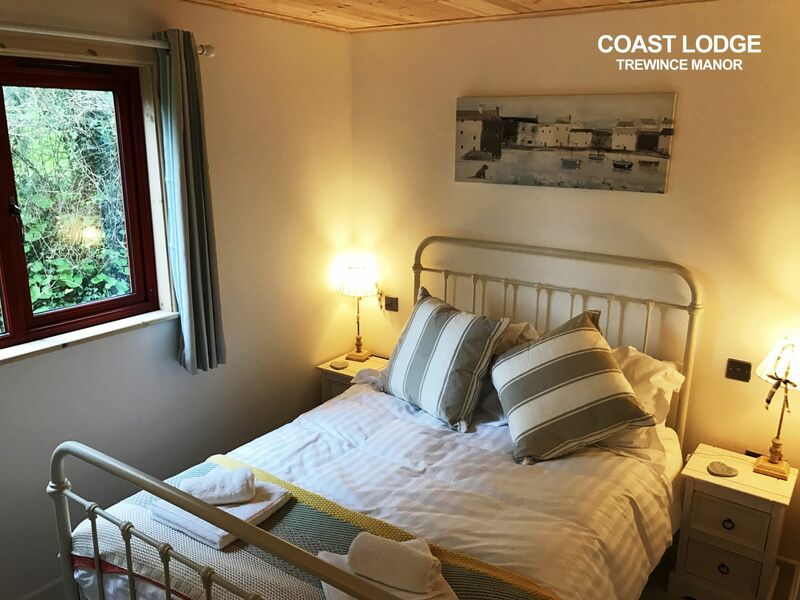 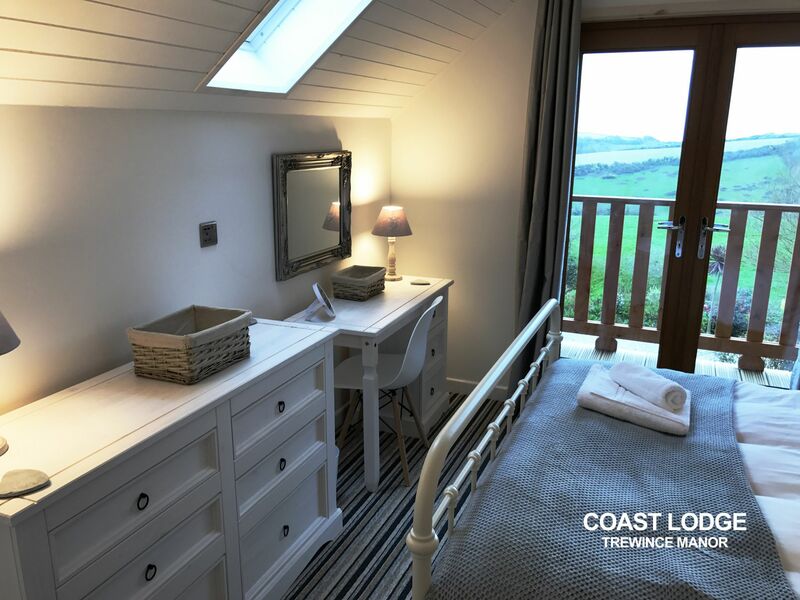 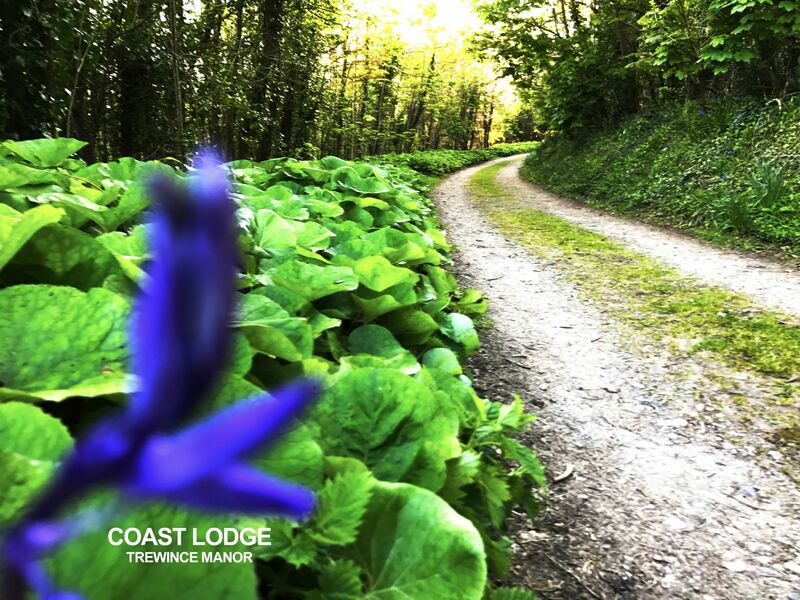 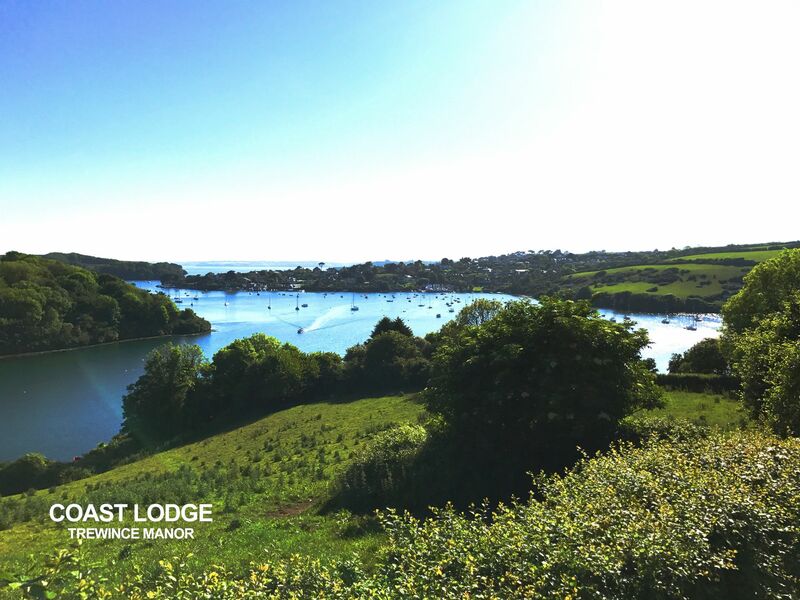 Coast Lodge boasts breathtaking sea, river and countryside views, with the towns of Portscatho & St Mawes close by. 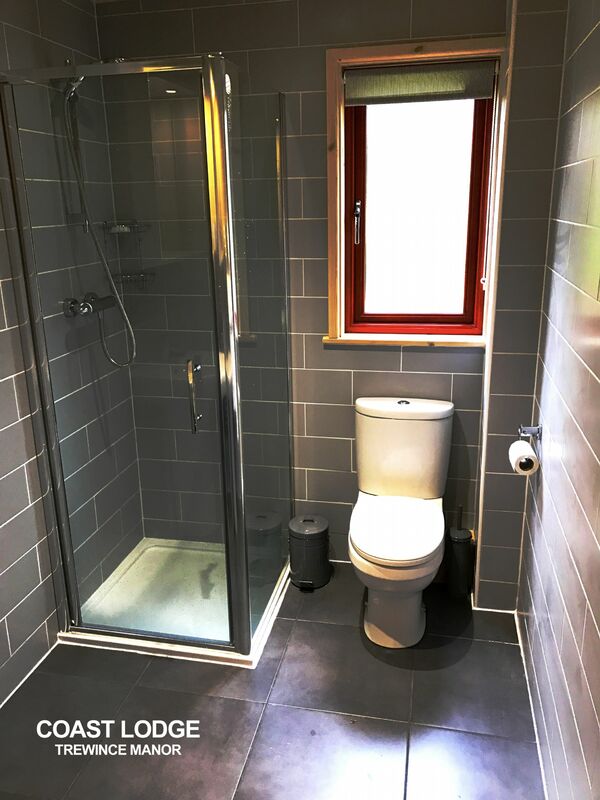 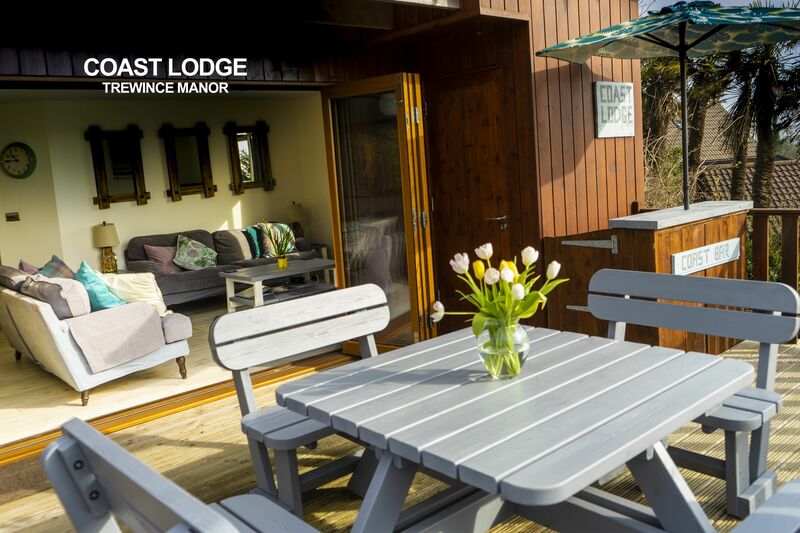 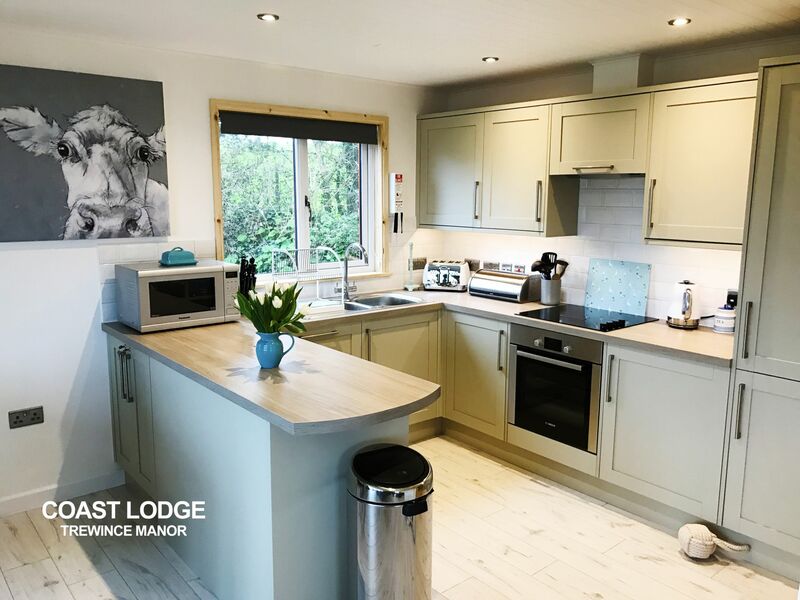 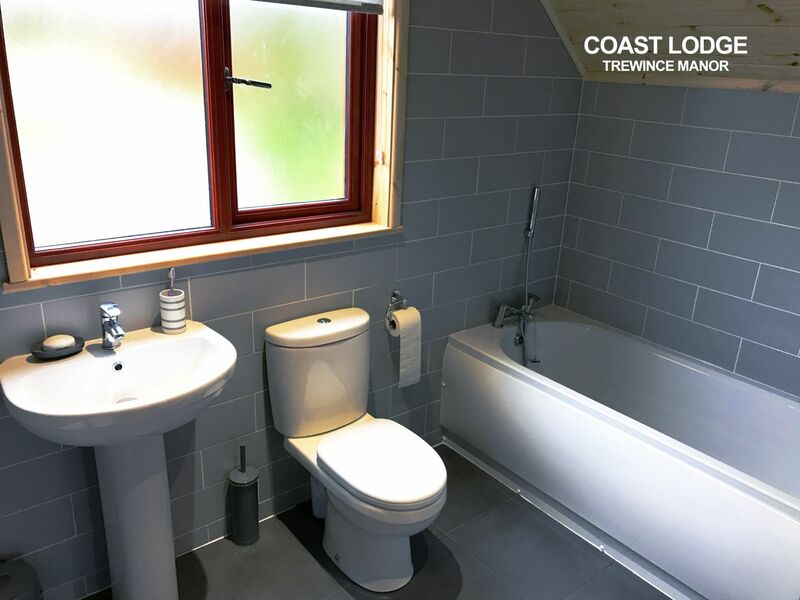 The lodge has been built to a high specification and includes accommodation for up to six people over two floors. 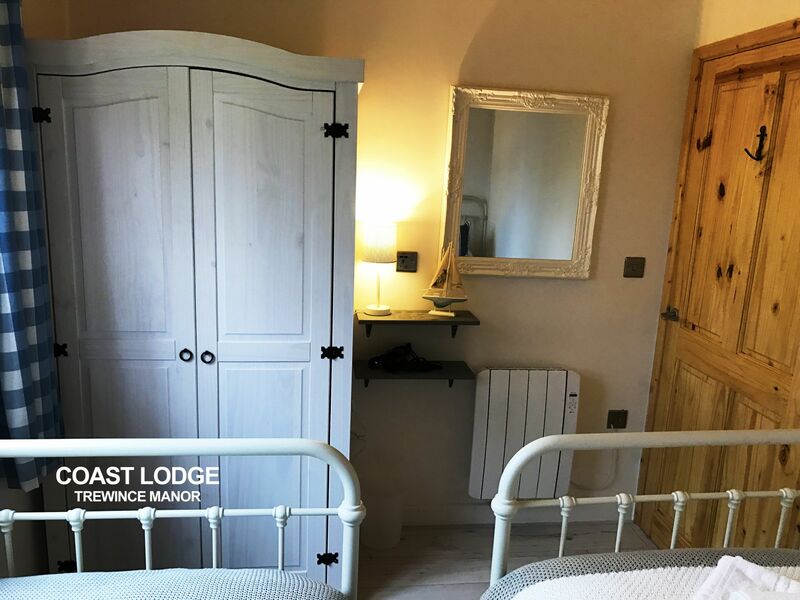 One twin room with single beds, one double and a shower room downstairs, a spacious master suite including king size bed, dressing area, balcony and bathroom upstairs. 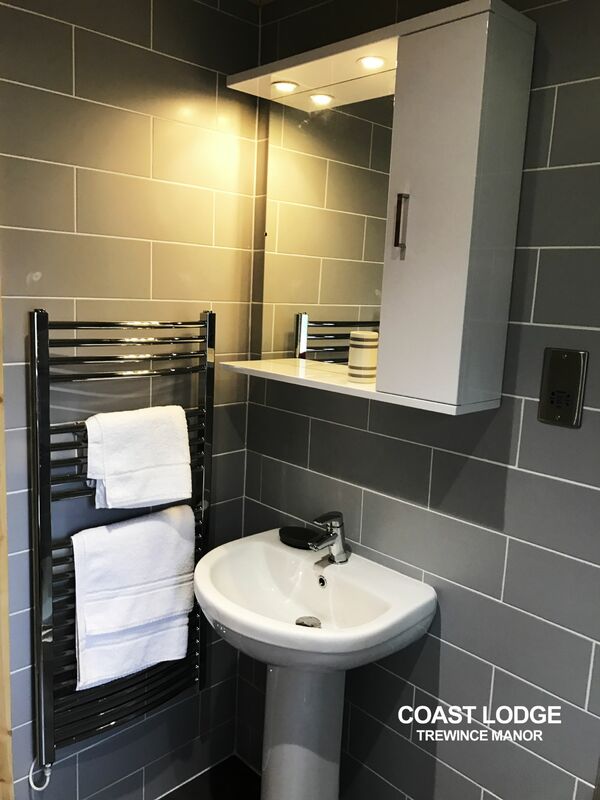 Each bedroom has Feather & Black iron beds, pocket sprung mattresses, ample storage, a hair dryer and USB charging sockets for all your devices. 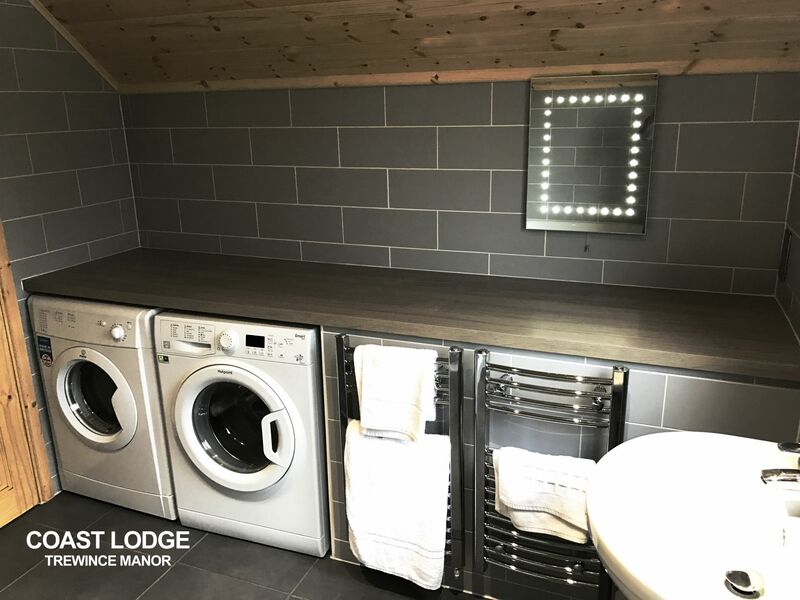 The stylish kitchen is fully equipped with Bosch integrated appliances including fridge/freezer, dishwasher, oven and hob. 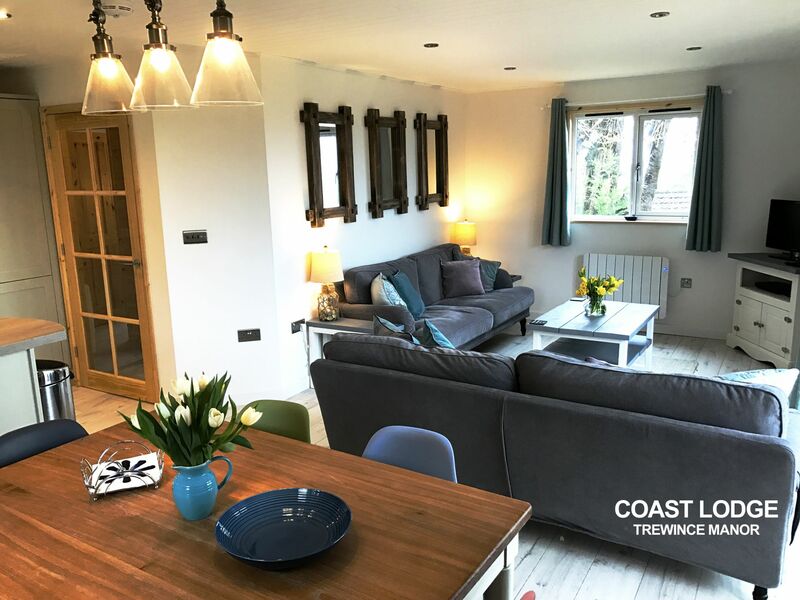 With white planked ceilings and flooring, the bright and airy open-plan kitchen, dining and living area has a TV, DVD/Blu-Ray player with a large selection of DVD's and a Bluetooth speaker. 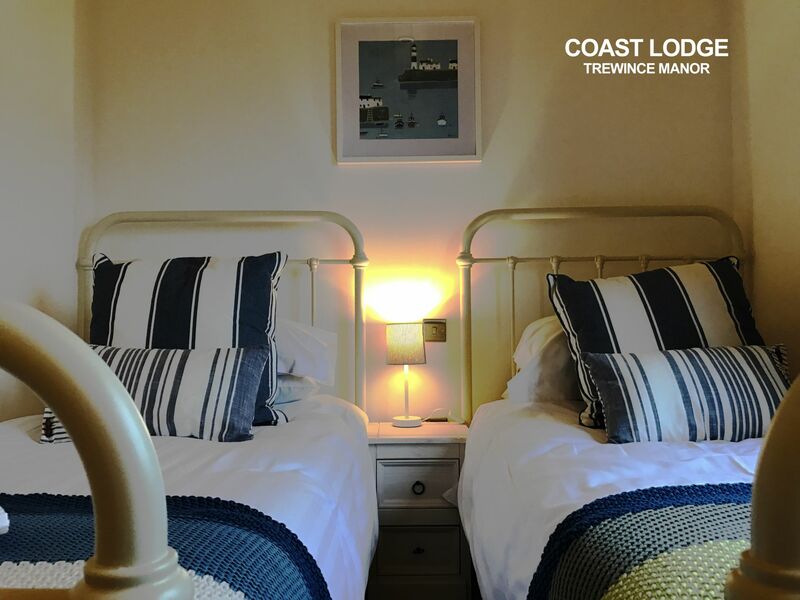 In addition there is the latest SkyQ box and a Nintendo Wii to enjoy after long days on the beach. 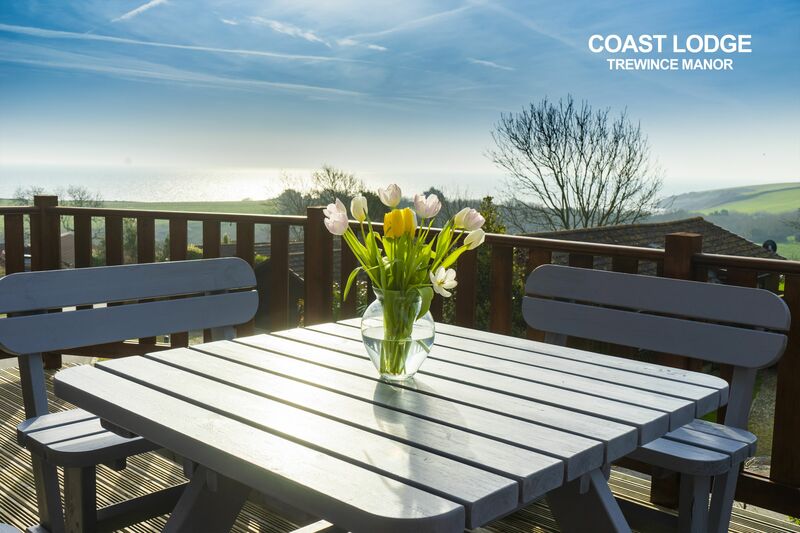 The south west facing garden and terrace is accessed by 3 metre wide Bi-fold doors making a huge area for Al Fresco dining with spectacular sea views. 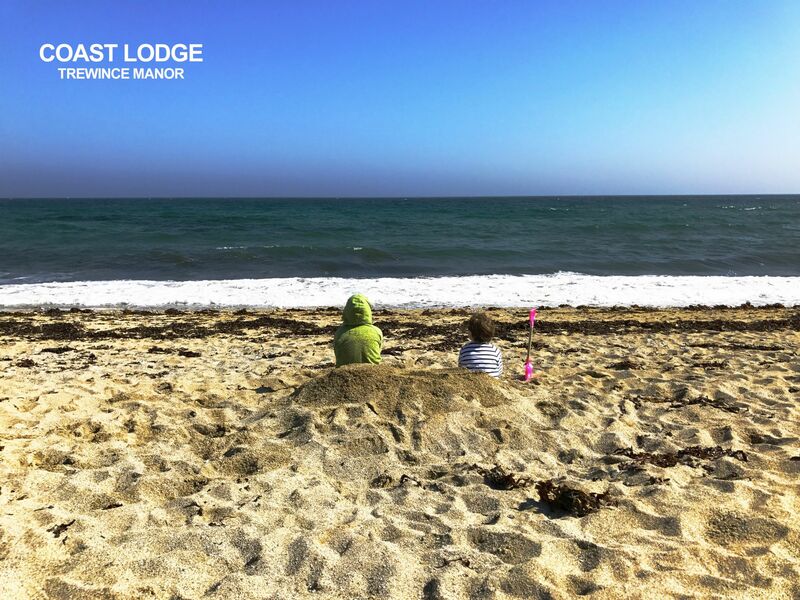 A box of beach toys, buckets and spades are available to all the guests. 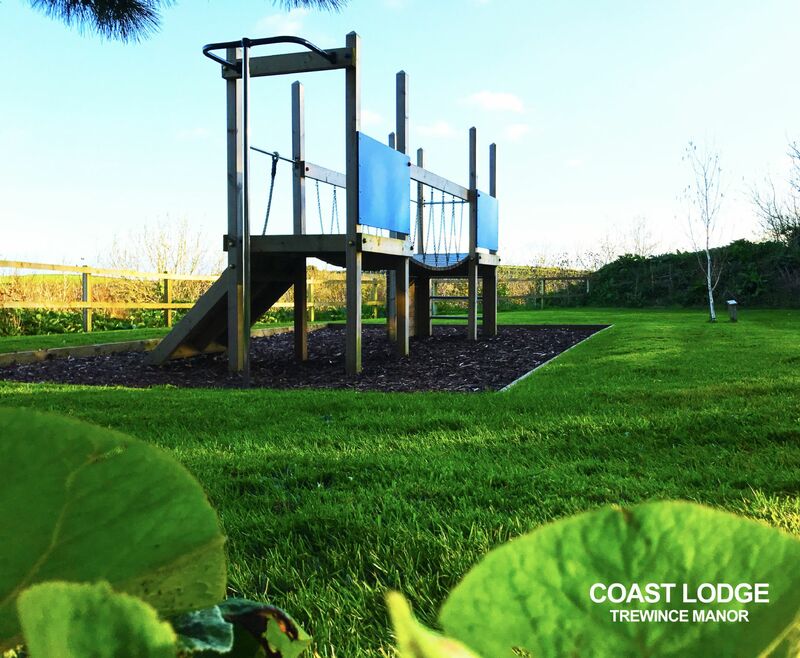 A side gate takes you down to a woodland track, leading to the two children's play areas and the estate's very own quay. 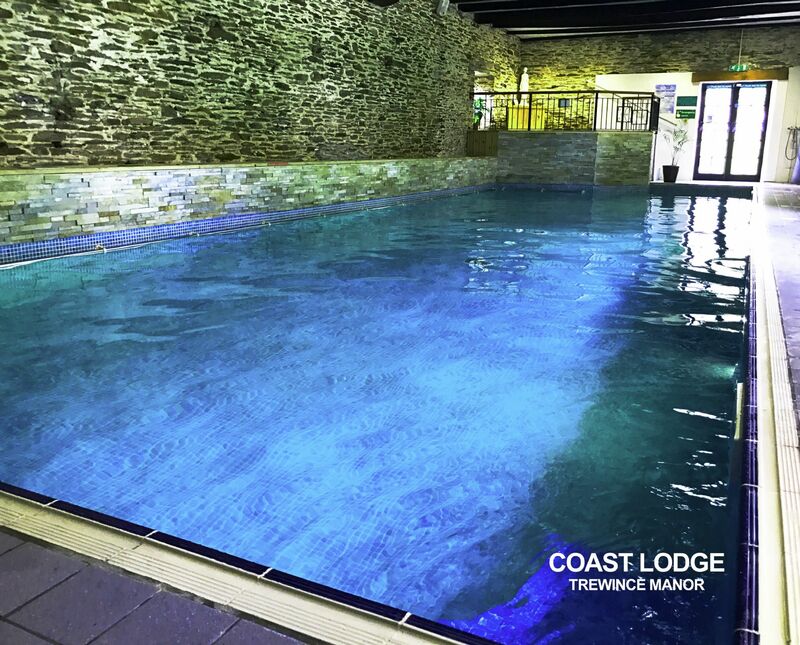 Included in your stay is access to the on-site leisure centre with heated indoor swimming pool, childrens' paddling pool, Jacuzzi and sauna, as well as a coffee shop. 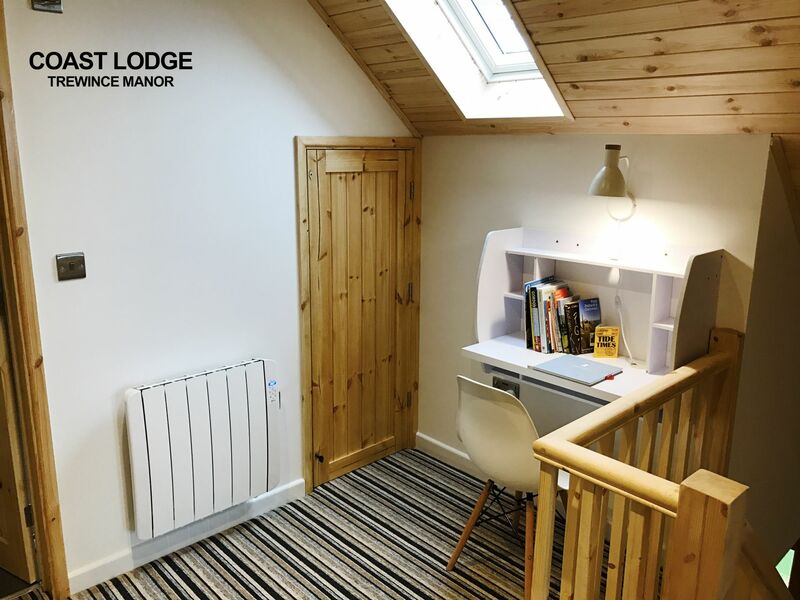 For those with young children there is a Baby Jogger City Mini GT pushchair, Littlelife Ranger baby carrier and plenty of toys, books and games. 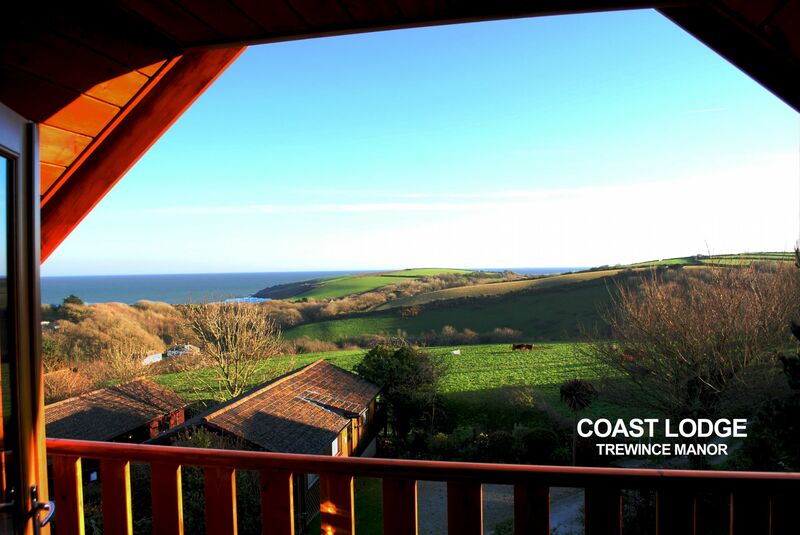 We have two other properties on the site at Trewince: Quayway Lodge and Carrick Lodge. 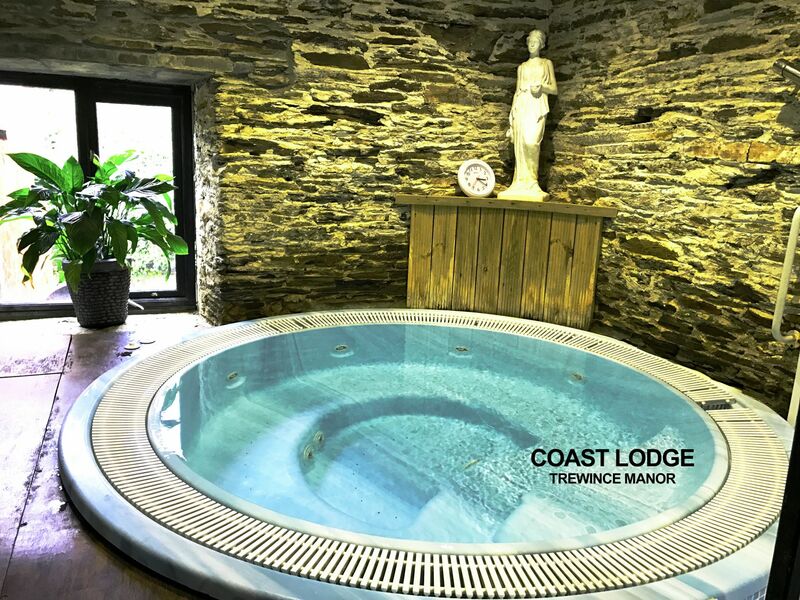 Each of these properties also accommodates up to six guests.